In Matthew 3:12, John the Baptist likens the end of the age to a harvest. In the following Preterist commentary on Matthew 3:12, this prophecy is interpreted and shown to be fulfilled. Matthew A Preterist Commentary Intro: This Commentary uses Matthew as a Template to comment on similar End Time Predictions in the other Gospels. 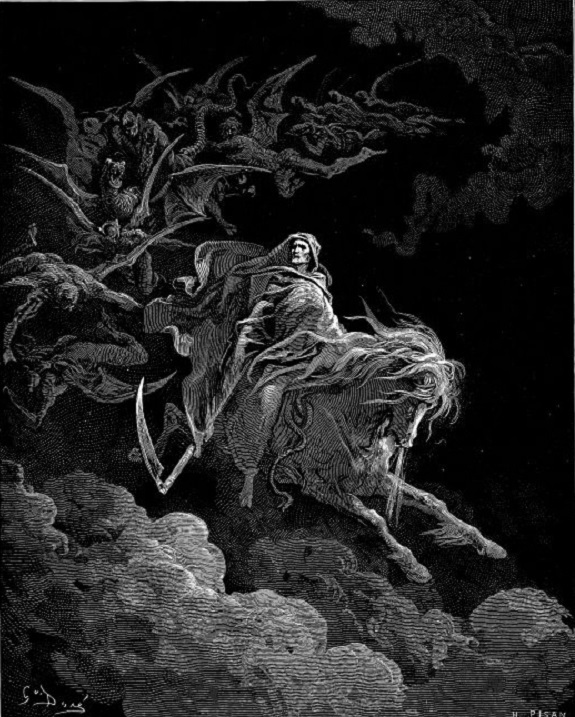 12His winnowing fork is in his hand, and he will clear his threshing floor, gathering his wheat into the barn and burning up the chaff with unquenchable fire. Unquenchable fire like that mentioned in Matthew 3:12 is fire that is so large and hot that it cannot be intentionally put out. 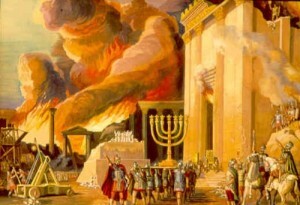 Jerusalem and its temple were engulfed in unquenchable fire when the city was destroyed and burned by the Romans in A.D. 70. A Preterist Commentary on Matthew 3:12: The Jews revolted against Rome during the Barley Harvest explaining the Harvest Imagery in Matthew 3:12. The Jews began their revolt against Rome in Iyyar amidst the barley harvest in A.D. 66. In the following month, Sivan, the wheat harvest began. Thus in light of this fact it is not surprising that John the Baptist refers to the end of the age as a wheat harvest in Matthew 3:12. A Preterist Commentary on Matthew 3:12: The Gathering of the Wheat into the Barn represents the Entry of the Saints into the Kingdom of Heaven. The Burning of the Chaff represents the Burning of Israel during the Jewish War which itself Symbolizes Hell. The symbolism found in the verse above is repeated throughout the Gospels and the Bible as a whole. This verse, like Revelation 14:14-16, paints a picture of Christ harvesting the land at His coming. In the context of Matthew 7:15-17, it is clear that good fruit represents the virtuous while thorn bushes and thistles signify the wicked. Similar imagery is seen in v. 12 above. Like the good fruit in Matthew 7, the wheat in v. 12 also represents the saints while the chaff symbolizes the wicked. The gathering of the wheat into the barn paints a picture of the saints being welcomed into the kingdom of heaven.1 The burning of the chaff is a metaphor for hell and the burning of Israel by the Roman military. The fact that the province of Israel was burned throughout the war with Rome is itself an earthly reflection of the otherworldly flames of Gehenna. 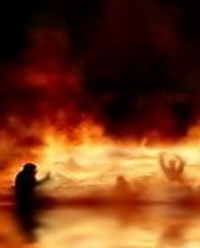 Gehenna was a burning trash heap outside of Jerusalem often used as a metaphor for hell. In the above Preterist commentary on Matthew 3:12, the harvest imagery was interpreted and its first century fulfillment addressed. This is fulfilled in the resurrection of the dead and the repopulation of Israel with Christians after the Jewish War and the Bar Kokhba Rebellion.